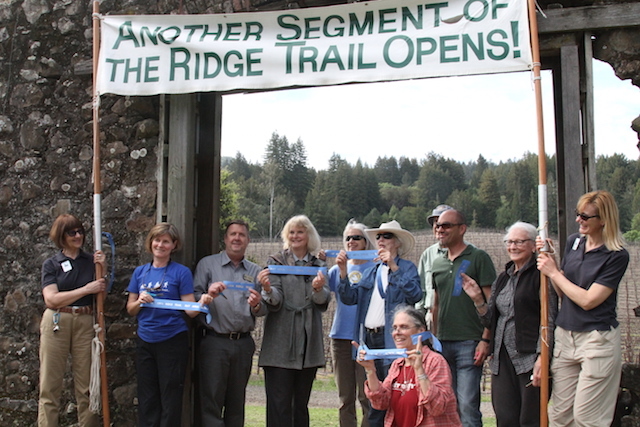 East Slope Ridge Trail now connects with Jack London trails! 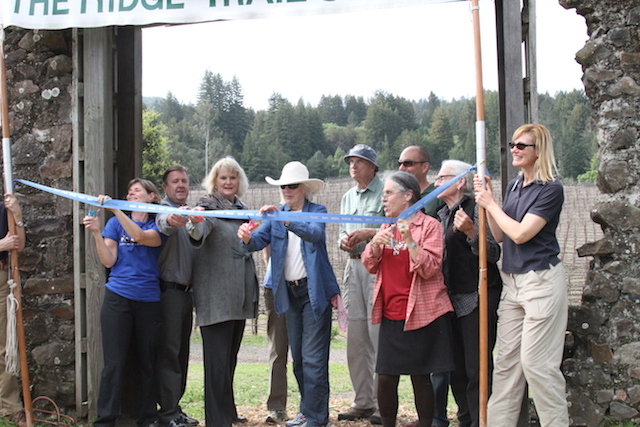 View south to San Francisco Cutting ribbon to open trail on 3/14/15 Happy hikers and ribbon-cutters! 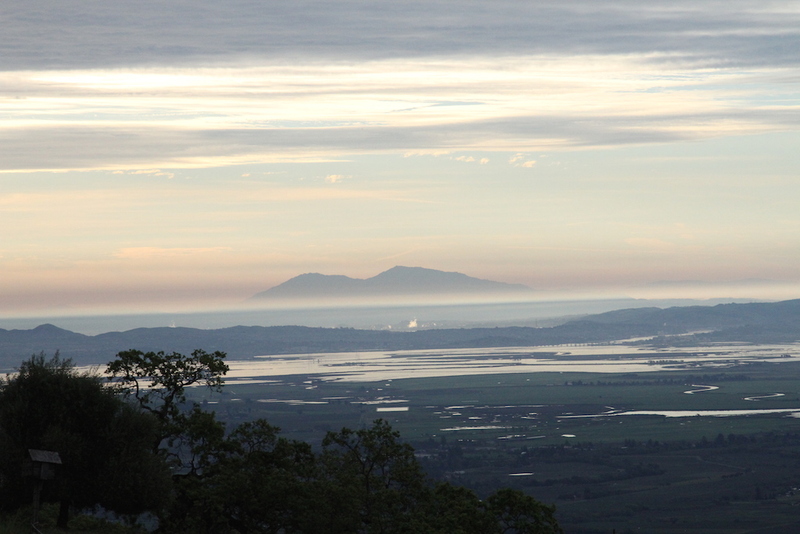 “No summit within miles carries the cachet of the mountain I live on” writes Tracy Salcedo-Chourre, author of this post. Seems I’ve always called a mountain home. I used to live on a mountaintop—at least by California standards. This was in Colorado; our home on Circle Drive was perched on a nameless summit at 8,500 feet. That qualifies, even if neighboring Bergen Peak, at nearly 10,000 feet, got all the glory. 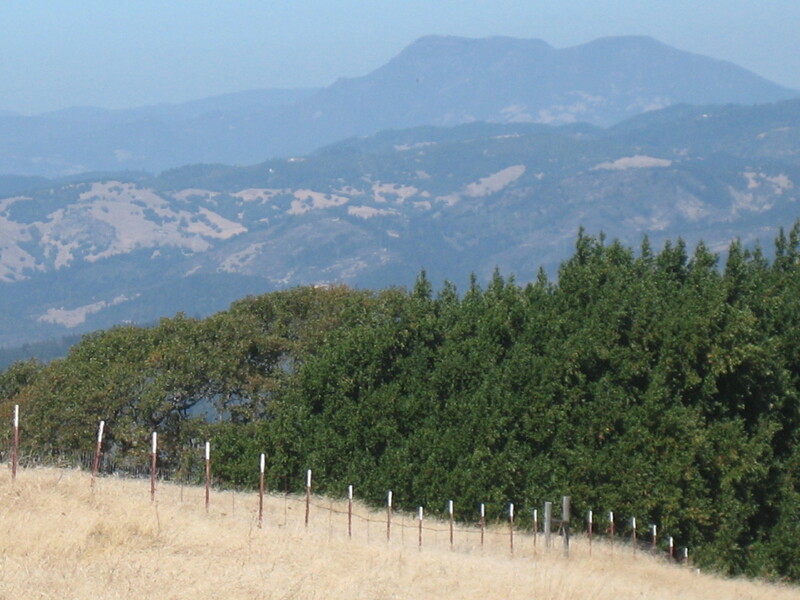 Now I live at the foot of Sonoma Mountain, which by Colorado standards is a hummock. Never mind that, though: It’s as steep and imposing, in its context, as any Rocky Mountain. And it’s the iconic one—no summit within miles carries the cachet of the mountain I live on. It’s odd, though. 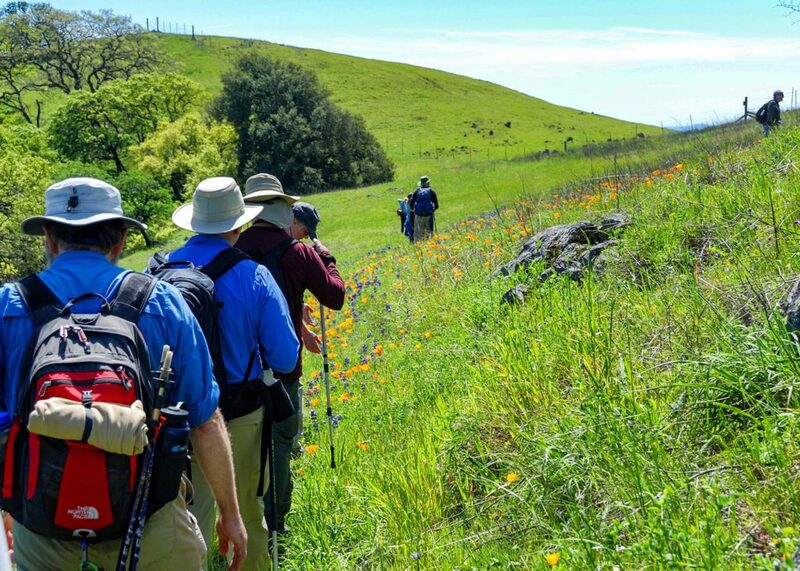 I am a walker, by both nature and profession–Tracy of the Trails. 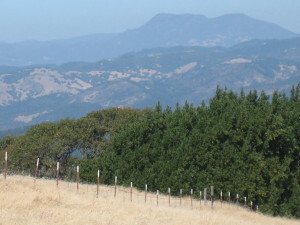 But I have never been to the top of Sonoma Mountain. It’s been off-limits, private property. I’ve been as close as the trails permit, gazing upward in mild frustration at the grassy apex, contemplating trespass but turning around instead because I am not, by nature, a trespasser. 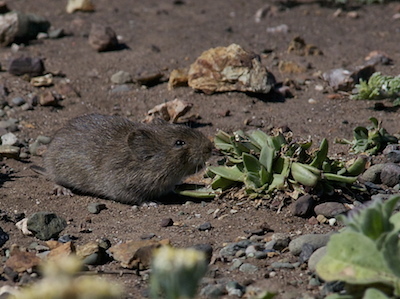 Especially in parks and preserves. I know how much work goes into setting parkland apart, and I would never violate the trust that exists between parkland and neighboring private property. 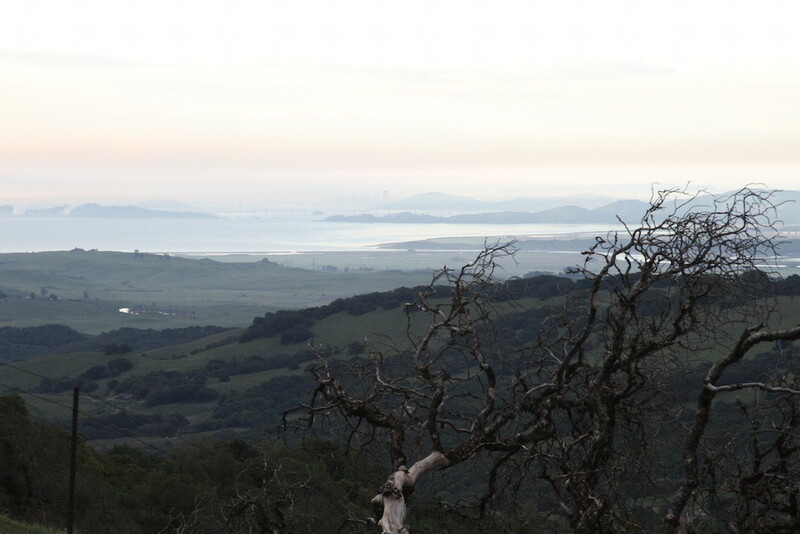 So I am elated at news that Sonoma Mountain’s summit will soon be accessible to walkers like me, by dint of private/public negotiations that have yielded new deposits into the Sonoma County Open Space land bank and a new stretch of the Bay Area Ridge Trail. Hikers will now be able to explore the top as well as the bottom of the mountain. But were the top never to open—or were I never to reach it—wouldn’t matter to me in the long run. It doesn’t make me love the mountain more. 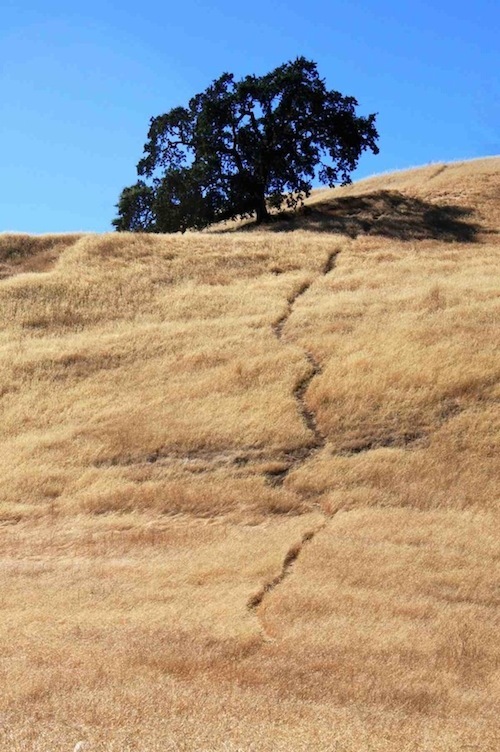 Just to be clear: The paths on the lower reaches of Sonoma Mountain have imprinted themselves forever on the soles of my wandering shoes. 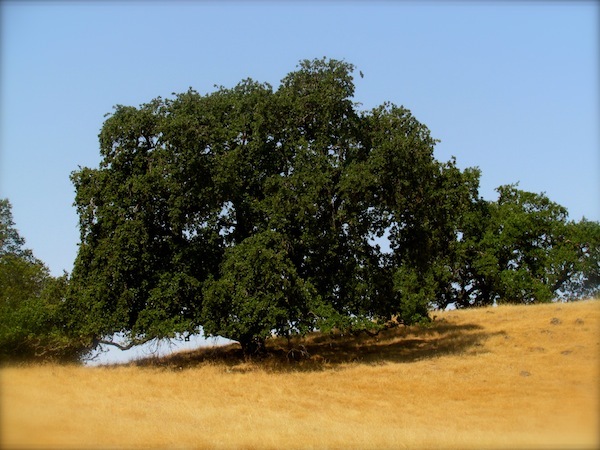 I know pockets of the eastern flanks intimately; Jack London State Historic Park and the open spaces above the Sonoma Developmental Center are my backyard. I return again and again to the old familiar, where the vistas never fail, the woodlands are always fragrant, the flowers and grasses demonstrate the seasons in a parade of blooms that mature to seeds and begin again. Yes, I’ll be able to get to the top soon, but I’ll be found on the paths I’ve walked for years, around my home at the base. New Sonoma Mountain Regional Park and Open Space! Our party now enlarged to three. Then said good-bye, went down his hole. 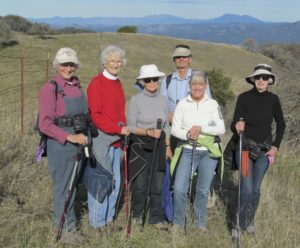 This post, by Robin Pennell, is one of a series of guest posts from local residents on “Why I Love The Mountain” on SonomaMountain.org. 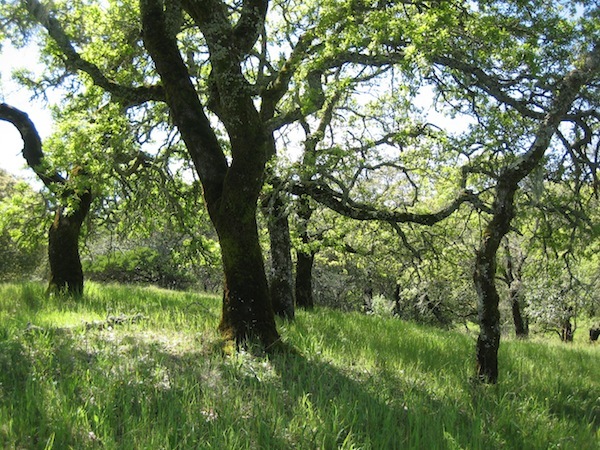 Thank you, Robin for your inspiration at Van Hoosear Wildflower Preserve, one of the privately protected open spaces on the mountain. Photo by Jerry Kirkhart, Flickr.